Cindy Pon’s debut novel Silver Phoenix was called “fluid and exhilarating” in a starred review from Booklist, and Meg Cabot called it “an addictive gem.” In this companion novel, seventeen-year-old Ai Ling—her powers stronger than ever—stows away aboard a cargo ship in order to protect devastatingly handsome Chen Yong during his quest to locate his father. Masquerading as brother and sister, Ai Ling and Chen Yong face demonic predators on the ocean voyage, but their biggest threat comes from the kingdom of the dead. 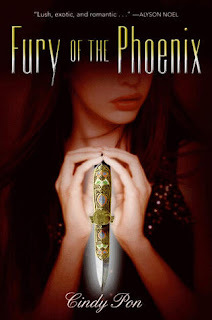 Part supernatural page-turner, part love story, and altogether stirring, Fury of the Phoenix further heralds the arrival of Cindy Pon as a stellar author of paranormal romance and fantasy. Silver Phoenix was fantastic and I can't wait to read this! 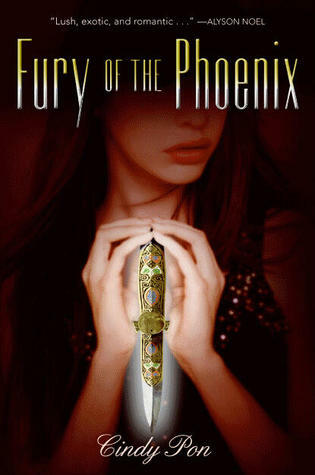 Received Fury of the Phoenix today. Got the book today, thanks!